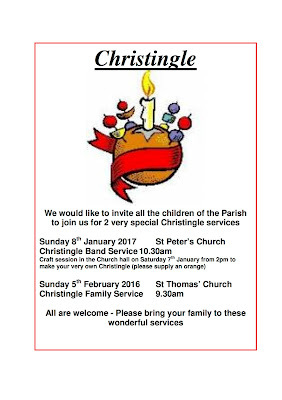 On Sunday 5th February - 9.30am - St Thomas' West Hyde hold their annual Christingle service and it would be lovely to see many of you coming to celebrate Jesus the Light of the World! 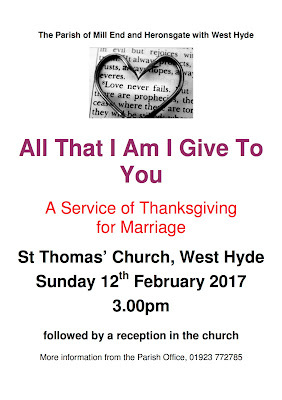 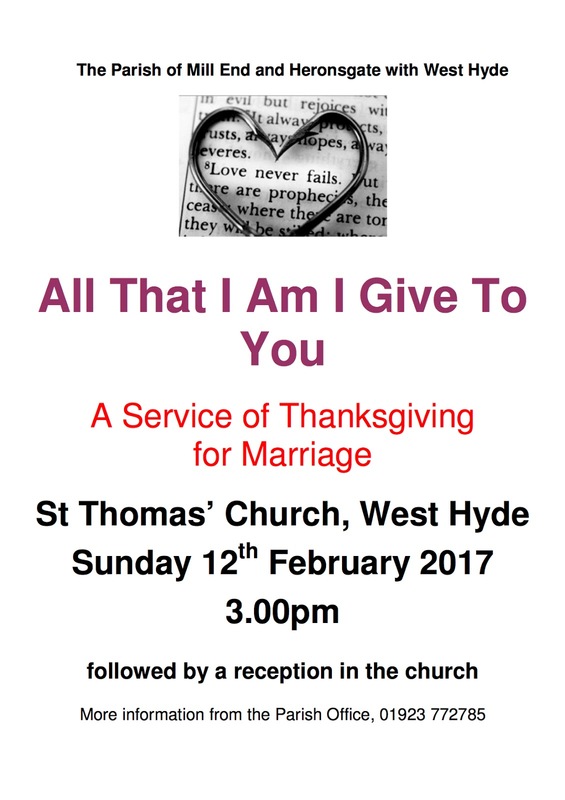 On Sunday 12th February at 3pm - St Thomas' West Hyde - we hold our annual 'Thanksgiving For Marriage and Renewal of Vows' service which will be followed by refreshments. 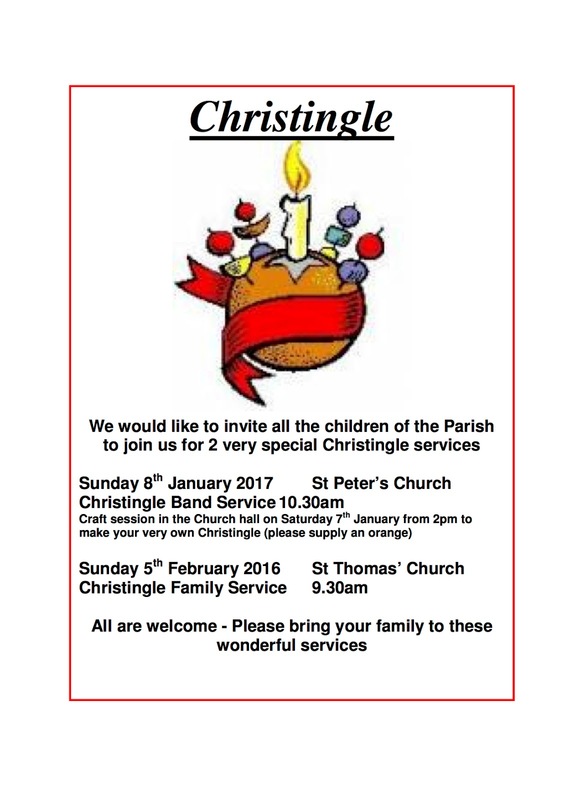 All are very welcome at both services.